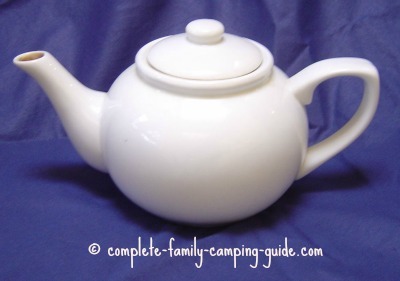 Im A Little Teapot is a perfect song to sing around the campfire with preschoolers. It's short, it's simple, and if your little ones have been to preschool or have listened to children's CDs, they probably know it already! As a matter of fact, you probably learned it when you were a child yourself! Its cheerful tune and easy-to-learn words make it an obvious choice for teaching to the youngest children. When you are singing around the campfire, be sure to include simple songs like this one for the toddlers as well as more challenging songs for the big guys! You may know the tune to I'm a Little Teapot already - but do you know the words well enough to sing them around the campfire? Most two-, three- and four-year olds love action songs! 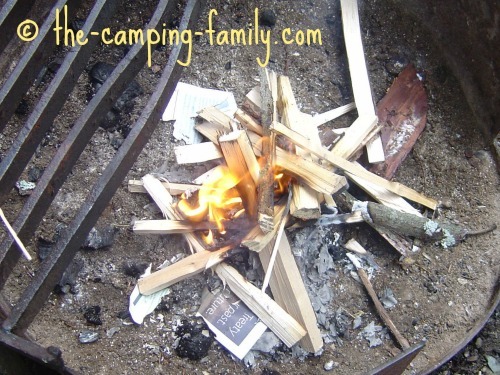 Even the big kids can get caught up in the fun around a campfire and might be willing to do the actions - especially if the adults are joining in too. Being silly together around the campfire is part of a great family camping trip! Place one hand on your hip to make the handle. Hold up the opposite hand and arm to form a spout. Tip to the side in the direction of the handle. I used to think that this tune is just a children's nursery school song, but it has a more interesting history. Back in the 1930s, a gentleman named Clarence Kelly and his wife (whose name I could not discover although I tried) ran a children's dance school. They taught tap dancing, among other things. Their older students learned the popular tap dances of the time, but the littlest dancers had trouble with even the easiest dance in the repertoire. Clarence and his buddy George Sanders, who played the piano at dance recitals, decided to create a dance that was easy enough for even the youngest children to learn. They created a song with lyrics that reinforced the dance moves. The dance, appropriately named "The Teapot Tip", was a hit! The song (which is actually titled "The Teapot Song", not "Im a Little Teapot") was published in 1939. It was recorded in Big Band style by Ronnie Kemper and the Horace Heidt Orchestra and sold a million records! Interesting postscript: George Sanders' son Ronald grew up to become a history professor and respected writer. When he wrote his memoirs, he titled them "Reflections on a Teapot: The Personal History of Time". Now that you know the words to Im a Little Teapot, why not learn a few more songs to sing around the campfire? Go to the Complete Family Camping Guide home page for information on all aspects of planning a camping trip.